This immaculate home is practical in size and flawless in presentation.With stunning river views this home features high ceilings, split system air conditioning, granite bench tops, stainless steel appliances, ceiling fans, modern bathroom, heated towel rail, two living areas and french doors opening to a large hardwood covered timber deck perfect for entertaining. The rear yard has beautifully manicured lawns and easy to maintenance gardens allowing you to relax and enjoy the view. 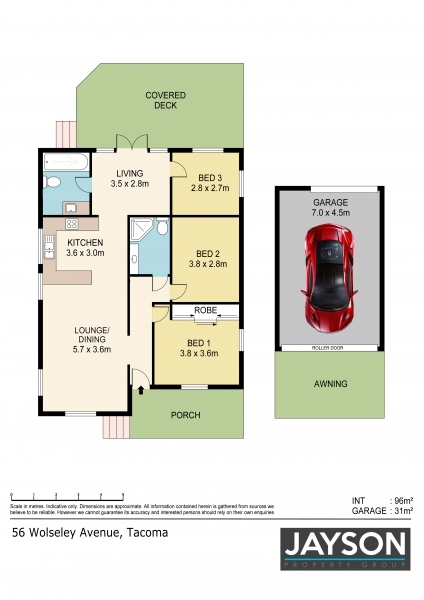 The property offers spacious side access to a large colourbond garage - perfect for the caravan or boat. This tranquil riverside setting is complimented by the convenience of the local boat ramp, schools, and local shops all being close by. Call Jason Graham on 0466 888 844.